The Current Social Media Phenomena: Why Is It Important to You? Social media is online content created by people using highly accessible publishing technologies. In its most basic sense, social media is a shift in how people discover, read and share news, information and content. It is a fusion of sociology and technology, transforming monologues (one to many) into dialogues (many to many) and is the democratization of information, transforming people from content readers into authors. Social media has become extremely popular because it allows people to connect in the online world to form relationships for personal, political and business use. Businesses also refer to social media as user-generated content or consumer-generated media. Social media can take many different forms, including Internet forums, blogs, wikis, podcasts, pictures and video. It has become apparent to that the Internet is an inherently social medium. That will not change, as people will always want to engage with one another online, and social media will be there in one form or another to accommodate this need. Pew Internet found in its 2011 Social Networking survey that 65% of US online adults are using a social networking tool like Facebook, Linkedin or Twitter. The average American worker is currently spending 1.2 hours daily on social-media related tasks. At present, 61% of online Americans under 30 use social media-related Websites on a daily basis. As this chorus of conversations and the proliferation of technologies that enable participation in social media grow, companies must make sense of the new channel for consumer interaction. The growth of social media is already having a tremendous impact on business throughout the world. Social media is changing the rules of the marketplace, just like the Internet did a decade ago. It is still early and no one — not even the experts – knows what the total impact it will have on the marketplace. But it is clear that times are changing again, and those that do not embrace social media will go the way of print media. 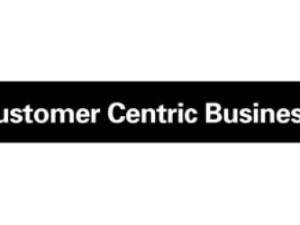 In a test run by BazaarVoice, Rubbermaid discovered that adding customer reviews to their website increased sales and decreased returns of their products. Skeptics said sales of low- rated products would crater. What actually happened is that sales of low-rated products increased. When shoppers were questioned, they explained that when they read why someone else maligned the product, often they disagreed or didn’t care about that particular problem. If the price was right, it was worth buying anyway. Fog Creek software makes millions of dollars from FogBugz, a bug-tracking system. There’s hundreds of bug-tracking systems — free, cheap, expensive, open-source, commercial — yet Fog Creek is highly visible and successful with no advertising. How? Because the founder, Joel Spolsky, has built an incredibly popular blog about writing software. He was before his time; before RSS he wrote essays and notified you by email when a new one was posted. It is widely agreed that without the blog-before-it-was-called-a-blog, Fog Creek would likely have remained an unknown consulting company with a few struggling products. Zappos (recently acquired by Amazon.com) sells shoes on the Internet. CEO Tony Hsieh is so convinced that their legendary Twitter presence results in sales that he even wrote a popular beginner’s guide to Twitter. He insists that Twitter and other forms of open communication are required for excellent customer service; employees are trained in Twitter. Zappos raked in $1B last year even in the current recession. British wireless giant Vodafone is experimenting with several social media initiatives. Last November in Britain, the company launched Vodafone Live Guy, an online treasure hunt where participants use online apps such as Twitter, Facebook, Google Picasa, and YouTube to track down Live Guy—a Vodafone brand mascot—and win one of Vodafone’s Dell Inspiron Minis, laptops embedded with Wi-Fi and mobile broadband. Since then, Vodafone’s British arm has launched a number of other social media ventures. Vodafone UK has launched a Twitter and Google Maps application to promote the end of European roaming charges, allowing customers to tweet where they are going on holiday this year. The tweets are then plotted on a Google map in real time. The marketing site Marketing.fm gets double the traffic of marketing.com. One has a blog with useful content and one doesn’t. Guess which website has more traffic than the other. Proctor & Gamble recently announced that they will reduce spending on traditional research by half and devote the 60% of the amount saved by this spending reduction to online “listening” research in 2009. In the next ten years there will be more stories like this, not fewer. Social Media is not hype and it is not going away. Just like today, when every employee and leader is expected to be conversant in the Internet, it will soon become required that every employee understand the basic practices of Social Media. The quicker you and your organization can get there, the better. This will require both a personal and professional commitment to learn for many marketing professionals. As a consequence of the emergence of social media in today’s marketplace, companies now have more insight into the consumer perception of their products and services than ever before. their brand; the companies that ignore customer communications within social media will find their brand disconnected from their buyers. Business success in the coming years will require companies to harness the power of social conversations, as more and more people throughout the world increasingly embrace platforms like Facebook, Twitter, forums and blogs to connect and collaborate in real-time communities. The growth of social media has inevitably led to an increase in the importance of social media marketing. Social media marketing is the process of promoting your business or Website through social media channels (e.g., blogs, forums, wikis, podcasts, etc.). 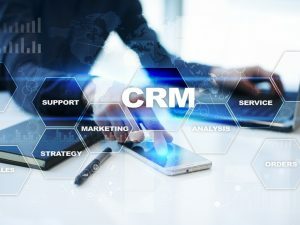 It has limitless benefits– from forging close, professional relationships, to dramatically boosting visibility, traffic, reputation and sales. The current economic downturn will also accelerate the use of social media, such as blogs and social-networking sites, by consumers looking for intelligence on firms and their products. As trust in brands is eroded, people will place more value on recommendations from friends. Social media make it harder for brands to “pull the wool” over consumers’ eyes, but they also offer canny companies a powerful new channel through which to promote their wares and test new products and pricing strategies. 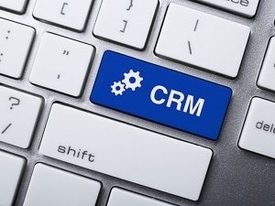 Most of your current and potential customers are online. They are engaged with social or consumer-generated media. They are discussing the products and services that they love and the products and services that they do not like. These online consumers have the power to affect your company and its sales. Companies that will flourish in this new environment will have to develop strategies and tactics to listen to, learn from, analyze, understand and engage with this new influential social media channel that will have a profound impact in the current and future marketplace. 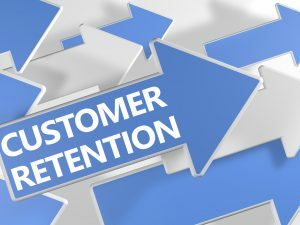 Could Customer Retention Be Your Biggest Opportunity This Year?